TES members voted for Chamberlayne College for the Arts to win a new learning space worth £80,000. The school plans to use it as a satellite centre for pupils who are unable to access mainstream education. Ewan Scott, Head of School, says: "Brilliant news! For Chamberlayne to win this competition is outstanding! A massive thank you to all who supported us, it is going to make such a difference to some of the most vulnerable people we serve. I'm smiling so much my face hurts!" Thank you to everyone who entered the competition and everyone who took part in the vote. 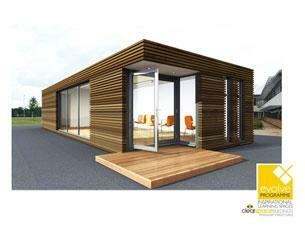 The buildings are part of Clearspace Buildings' Evolve Programme, designed to create inspirational classroom spaces. In addition, Clearspace Buildings will arrange all the planning permissions, construction and finishing touches. For more information please check out the Evolve Programme on the Clearspace Buildings website.